Green Tea & Healthy ..
* Prices are subjected to change and will be reconfirmed prior to processing your order. Oxygen therapy becomes more easy, safe and economical with the use of K3B. To make sure about the comfort level, it is assimilated with essentials like strong plastic case, proven sieve bed, low power consumption capacity and Pressure Swing Adsorption (PSA) technology. The remarkable features of K3B like compact design, light weight etc make it ideal beneficial and hassle-free oxygen therapy for your patients at home. 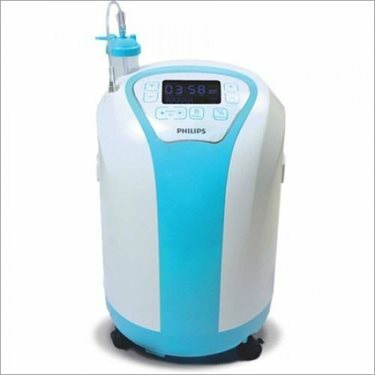 Features of Philips K3B Oxygen Concentrator Enriched care and advantage By keeping in mind all the comfort and care of the patient, K3B is designed with best quality material and advance technology. The design of K3B is consist of user friendly humidifier design, bacterial filter, digital flow meter with a remote control. Also, it has an in-built nebulizerfacilitate for your patients with lesser efforts. Combination of nebulizer in the concentrator makes the unit more fitting for your patients with respiratory problems. Furthermore, we also provide our patients a range of sleep and home respiratory product where they get all the comfort in their home easily. Made for convenience All our patients are able to easily control their oxygen therapy as per their need and convenience. It consist of digital flow meter and user interface which can be operated easily with a remote control system. Due to this digital meter our patients can easily understand and adjust the settings as their their need and convenience. Moreover, through the use of remote control patient can easily adjust the settings without leaving their comfort zone and make it more effortless system. Digital Flow Meter Adjustable Backlight Display of Total usage time Remote Control Operated System Error Alarms Timer Easy and EconomicDue to its light weight (9.8kg), it can be easily transported or carried along easily. It also helps in reducing the shipping and storage cost with its compact and light weight design. Patient need not to worry about its power consumption because it has a capacity of low power consumes. K3B make it easy for patient to use it for longer hour with total reliability and quality. Information Enriched care and advantage K3B is designed keeping the care and comfort of the patients as prime focus.Bacterial filter, digital flow meter with a remote control and an in-built nebulizer facilitate a total care environment for your patients with lesser efforts. Integration of a nebulizer in the concentrator makes the unit more fitting for your patients with respiratory problems. Improving patient care at many levels.Since Philips offers a wide range of sleep and home respiratoryproducts and comprehensive support, we can be the source for many of your product needs. Digital Flow Meter Timer Adjustable Back light Display of Total usage time System Error Alarms Remote Control Operated Easy and Economic K3B can be easily transported or carried along as it weighs just 9.8 kgs. with low power consumption capacity, K3B concentrator make it easy for you and your patients to use it for long hours with total reliability and quality. Specifications: Weight - 9.8 kg (21.6 lbs) Sound Level - 45 dBA typical Low Power Consumption - 230 Watts Oxygen Concentration* (at 3 lpm) - 93% +/- 3% Liter Flow - 0.3 to 3 liters per minute Filters - Bacterial Filter & Inlet foam Filter Flow meter - Digital Flow meter Required Maintenance - Every 2 years OPI (Oxygen Percentage Indicator) Alarm levels - Power alarms Low oxygen: 82%, very low oxygen: 70% Remote control - Wireless IR control. It acts as a self humidifier. It takes the water and converts into the oxygen and the self nebulizer is placed in the machine .The compact design, light weight and advanced features make K3B ideal for convenient and hassle-free oxygen therapy for your patients at home. Features: Enriched care and advantage K3B is designed keeping the care and comfort of the patients as prime focus.Bacterial filter, digital flow meter with a remote control and an in-built nebulizer facilitate a total care environment for your patients with lesser efforts. Integration of a nebulizer in the concentrator makes the unit more fitting for your patients with respiratory problems. Improving patient care at many levels.Since Philips offers a wide range of sleep and home respiratoryproducts and comprehensive support, we can be the source for many of your product needs.